eQSL recebido: N4WMB, Lancaster,SC, United States, 7 MHz, QSO w/ FJ/W9EAB. eQSL recebido: LU2FDA, Venado Tuerto, República Argentina, 28 MHz, QSO w/ PY5DD. Obs: QSL de PY5--07SWL enviado via bureau (PY5AA - Labre/PR) dia 05/12/2.015. Resposta recebida dia 16/06/2.016 via eQSL.cc (eQSL). We are glad to verify your reception report on China National Radio program transmitted on 7425 kHz at 14:24 hours- 14:39 hours UTC dated March 18th, 2016. We are glad to verify your reception report on China National Radio program transmitted on 7305 kHz at 11:33 hours- 12:00 hours UTC dated March 20th, 2016.
eQSL recebido: SV3GLL, Astros Arkadias, Greece, 14 MHz, QSO w/ OE3KNC, F5PTA, etc. 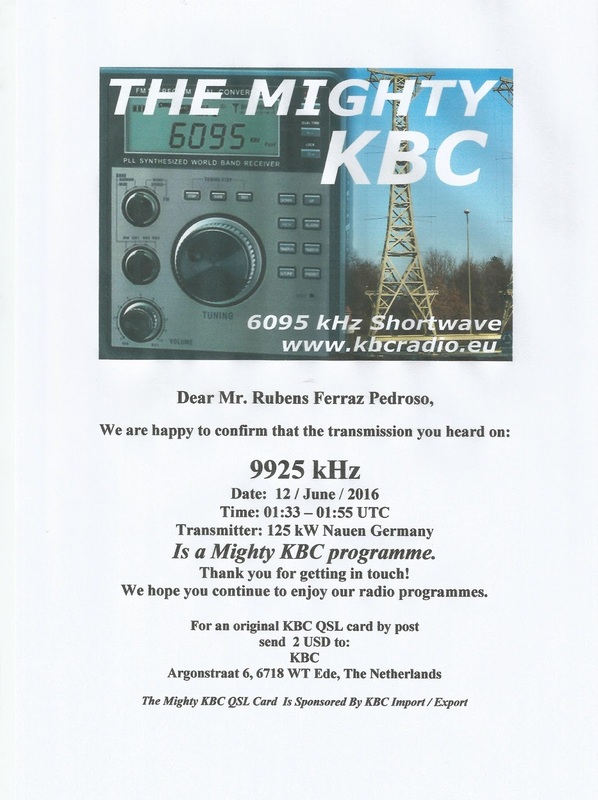 eQSL recebido: DK0RX, Ravensburg, Germany, 3.5 MHz, QSO w/ YU5A (WPX SSB Contest 2.016). eQSL recebido: UV5EVZ, Dnepropetrovsk, Ukrain, 21 MHz, QSO w/ LR5H(IARU HF World Championships). eQSL recebido: UV5EVZ, Dnepropetrovsk, Ukrain, 28 MHz, QSO w/ CE7LL. We are glad to verify your reception report on CRI Persian program transmitted on 7415 kHz at 18:05 hours- 18:21 hours UTC dated December 21st, 2015. We are glad to verify your reception report on CRI Bulgarian program transmitted on 7220 kHz at 11 :35 hours- 11:55 hours UTC dated December 22nd, 2015. We are glad to verify your reception report on CRI Japanese program transmitted on 7325 kHz at 12:01 hours- 12:17 hours UTC dated December 22nd, 2015. Escuta de transmissão em búlgaro. eQSL recebido: S51AU, Idrija, Slovenia, 14 MHz, QSO w/ EK8A. eQSL recebido: SQ9WRT, Czestochowa, Poland, 7 MHz, QSO w/ OE2016EM. eQSL recebido: IZ1WTM, Grignasco , Italy, 7 MHz, QSO w/ OE2016EM. eQSL recebido: HA5LUI, Budapest, Hungary, 14 MHz, QSO w/ RA6ABO. eQSL recebido: WP4EJH, San Lorenzo, Puerto Rico, 28 MHz, QSO w/ FM5KC.